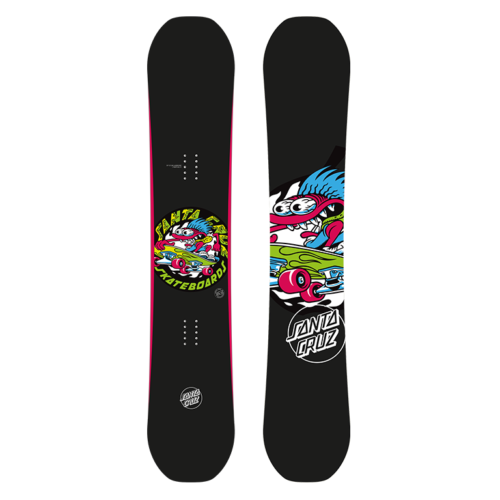 The Pinstripe Dot is a playful and stable deck – more playful than any other board in our line – the perfect board to compliment progressive snowboarding for our female riders. 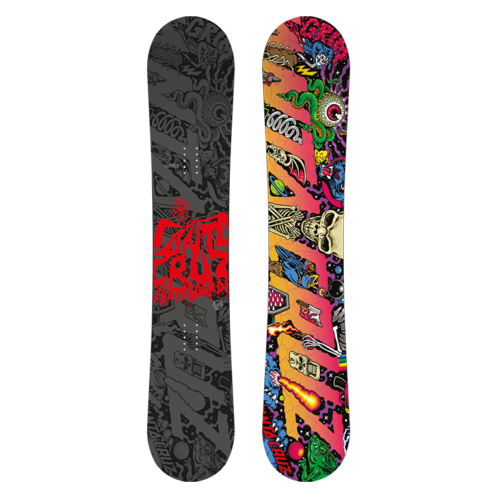 The Snap Rocker – True Twin Shape – with special women core tuning makes the board more playful and will upgrade every women’s riding level. 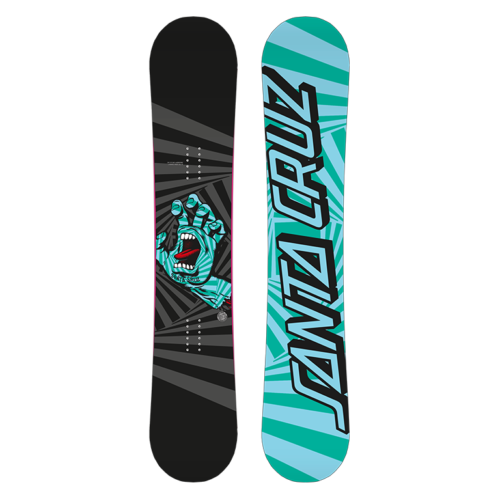 The narrow shape fits perfectly under female feet and give’s the board a smooth and responsive character. FIBRE LAMINATE: Hetero Biax Tech Laminate 30+ – Light with increased pop performance. 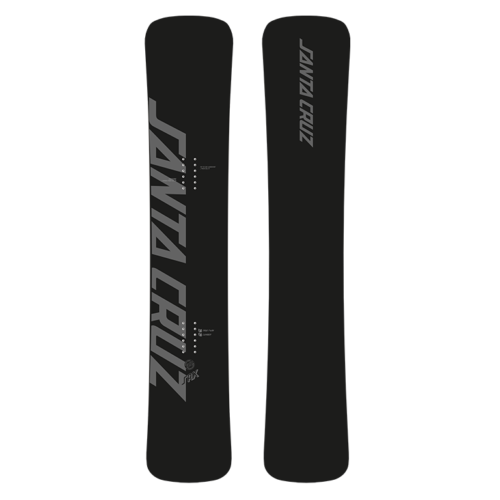 Used for boards targeting kicker rides, big jumps and cruising fun. CORE: HCM – Homogen poplar matrix. 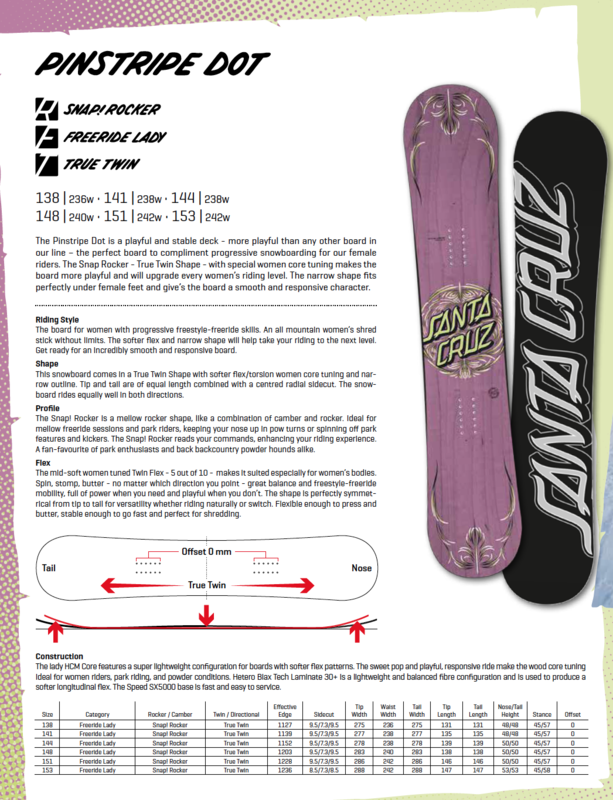 Light weight construction, smooth and easy to ride. BASE: Speed X5000 – High molecular density combined with good wax absorbing capability and high abrasion resistance. Added strength for rail and off slope rides.